The 2011 A3C Hip Hop Festival kicked off with one hell of a cypher! Last night, 12 up and coming rappers vied for the crown as they freestyled and competed to win free audio equipment, studio time, social media management, and more! 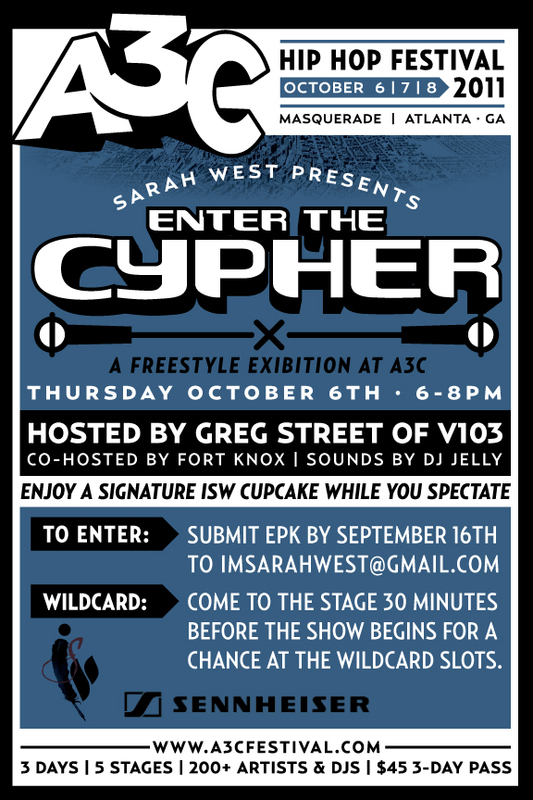 Watch below as the first group of rappers competed in the first round of Sarah West Presents: Enter The Cypher! The second group of 1st round rappers brought the heat as well! Check them out and make sure you let me know who you thought rocked the mic best! Keep checking in to find out who the winner was! !